Many musicians have moved from Los Angeles to Joshua Tree in search of affordable living, often developing additional creative skills to supplement their income. Gabriella Evaro’s garage is now an art studio where she works with vintage leather to craft a variety of goods that she sells throughout California. 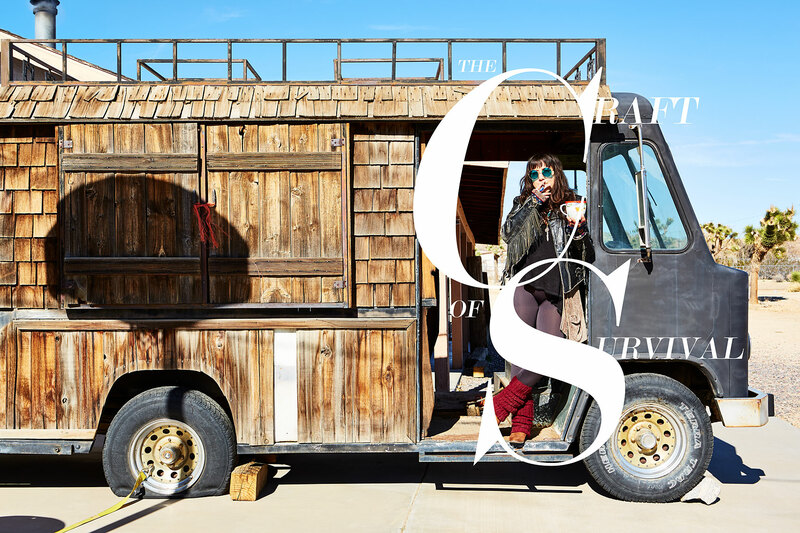 Her husband, a musician and silversmith, converted an old food truck into a distinctive mobile store for selling their wares around the state.